@PackRat, I don't believe it! That... is why you fail. @damo, it's a beautiful render, a superb background image for a display, and I love the desktop it produces. Welcome back, my friend. Hmm, looks like I have a font rendering issue. 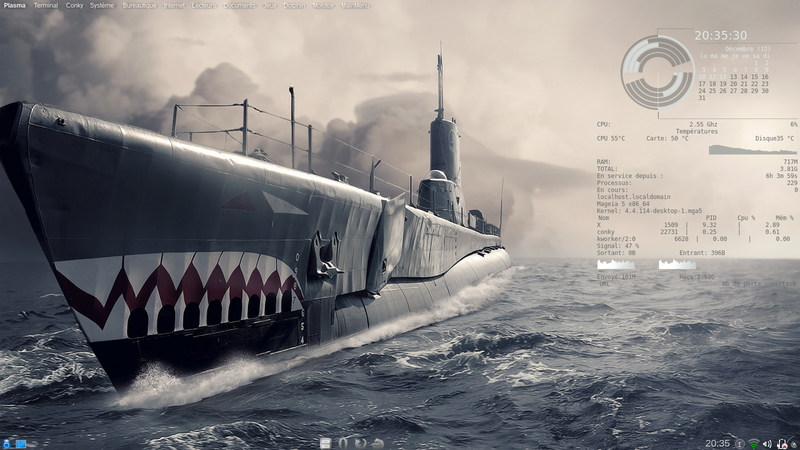 KDE panel clock looks awesome, gtk looks like crap. Everything looks right in the .gtkrc-* files, where should I look next? I will try not, do it, will I.
Cheers,Dobbie. Another beautiful scrot you've posted! I booted into my helium partition, my fonts look the same there, they're fine. I was imagining things. Thanks H3. I love dark themes but I realised my eyes do not. @bronto - I also recently came across this, and am having a go with the free add-on in Blender 2.80. It was a bit tricky to find it at first, and isn't working with eevee yet, but seems to have a lot of potential. Maybe the way to go is apply and save all the assets in a blendfile, so they can be accessed offline easily. All my machines are basically to old and sissy for 2.8/eevee, so I'am a lucky 2.97 user for the present. I really need to dismantle the crptyo rig (and get me a machine with at least one 1060 gtx). edit: Watching bcon18 I think the person presenting that said that eevee compatibility is there (Whatever that means?). I think materials are cached to disk, but have not try to work offline so far. Also I'am having a bit of confusion with unwrap data, which seems to be overridden when one drops some material to object. I see you can't separate from MG5 either. Probably there will never be such a thing with mageia again. I use the 5 only for Conky's, which don't really run anywhere.